Real Madrid defender Marcelo says he'll leave the Santiago Bernabeu when his club no longer needs him, but he's "sure" Los Blancos aren't going to fire him just yet despite speculation over his future. The 30-year-old has experienced a dip in form this season but has a contract with Real until June 2022. After celebrating his 12th anniversary in Madrid last month, Marcelo told Esporte Interativo (h/t AS) he'll leave the club when they no longer have use of him. He said: "If I am on the list of players [Madrid] want to sell, then they can pay me up and all is sorted. I trust in myself, in my work, but if a day comes when Real Madrid do not want me, I'll go. I will be sad, but I'll go. But I am sure I will not be kicked out." "The level I have been showing is difficult to always maintain. I am a little below that level at the moment, but my career has been like that, some little dips, and unfortunately this season I had three injuries in two months. "I went through a difficult period in my football and within the club, but that phase is over now, I need to play to get back to my usual form and confidence. But I feel good now, physically good, I am training strongly. I need to play to get back my confidence, but physically I am good." The veteran has been one of the world's premier left-backs in recent years. One could even argue Marcelo has been the best in his position while helping lead Real to three successive UEFA Champions League titles in the past three seasons. 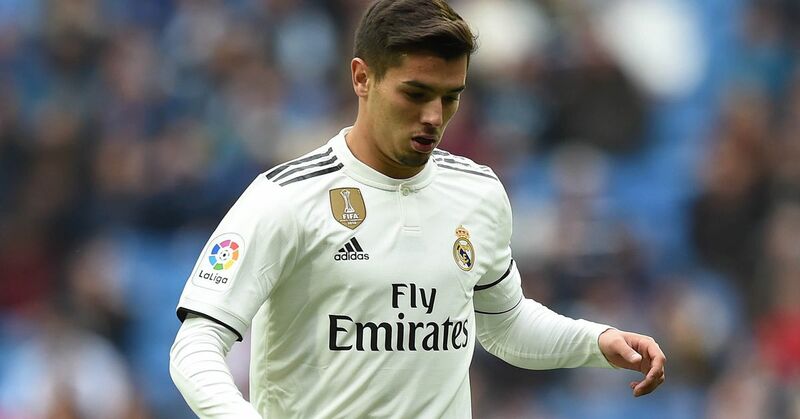 In Marcelo's place, Castilla product Sergio Reguilon has arisen as Solari's left-back option of choice. Real travel to Ajax in the first leg of their UEFA Champions League round-of-16 clash on Wednesday, and who starts in that fixture will be a keen indicator as to who Solari will likely prefer moving forward this season.